Nokia is launching their new budget smartphone at an incredible price tag of ₹5990. The phone is running on Windows 8.1 with Lumia Cyan. 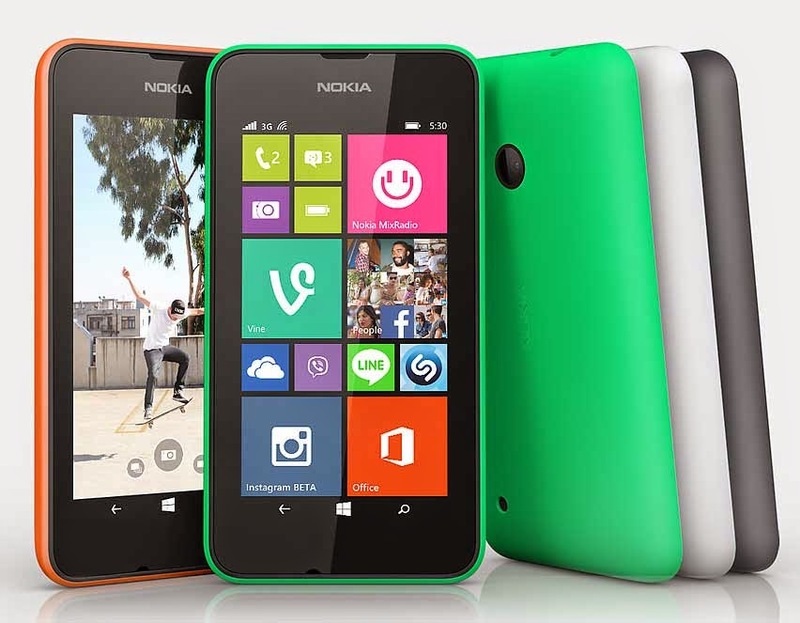 It is the cheapest phone running on Windows 8.1 and the cheapest phone in the Lumia series. The phone has a 4 inch 480 x 854 pixel resolution display with 245 ppi pixel density. The phone is powered by a Quad-core Snapdragon 200 running at 1.2 GHz paired with 512MB of RAM. The phone has a powerful Adreno 302 GPU. The phone has a Primary 5 MP camera and lacks a secondary camera. That is a negative side of the phone. The camera can record videos with a resolution of 864 x 480 at a frame rate of 30 fps. The phone has 4Gb of internal storage which can be expanded up to 128Gb via a MicroSD card. The phone is packed with popular softwares like Microsoft Office, Nokia Drive, Nokia Maps, MixRadio etc.. The connectivity options on this phone includes Bluetooth v4.0, Wi-Fi: WLAN IEEE 802.11 b/g/n, Micro-USB.This phone also supports WI-Fi hotspot with Up to 8 Wi-Fi-enabled devices. The phone has a removable battery with a capacity of 1430 mAh. The phone has maximum standby time of 22 days. And maximum talktime in 2G is 13.4 h and 3G is 10 h.